Arsene Wenger is of the belief that a chat with Manchester United and England legend David Beckham can help rekindle Arsenal's title hopes. The Gunners' last two losses to Everton and Manchester City have seen them crash down to fourth place, nine points behind current league leaders Chelsea. This made many conclude that they are totally out of the title race. Wenger is however optimistic that his side can still turn the table around to emerge league winners at the end of the season. 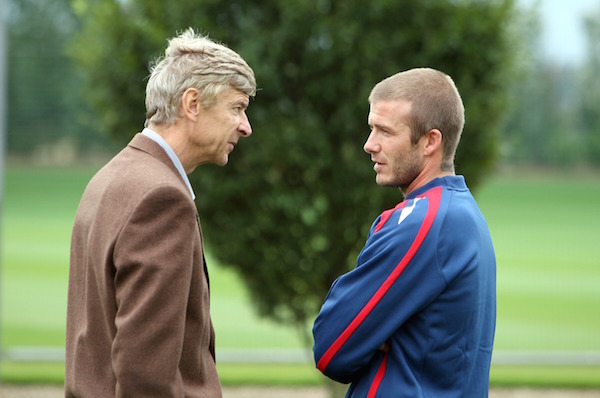 “I believe what is important is the strength you find inside the club,” Wenger said. Arsenal are gunning to revive their hopes by the time they host West Bromwich Albion at the Emirates on Boxing Day.